May 31 - June 3 . . . Last post for the 2015-2016 school year! NOTE: The monthly optional "replacement assignment" for period 1, 3, 4 is questions 1-23 on page 725. The replacement assignment for periods 6-7 is available here. Your score on this will replace your lowest non-test score so far. Get it in by the end of the day on June 3. We will go over a couple solar system topics and then learn some basic things about the Sun. Benson will tell students about the test and then we will do this KaHoot Review Game. A study guide will be provided. For other review resources, check out the links below. Good luck on finals! Click here to print a copy of the study guide for the semester final. - Benson will provide you with a copy on Friday. 6. This diagram will be on the test. The same diagram can be found on page 339 of your text (honors text page 328). 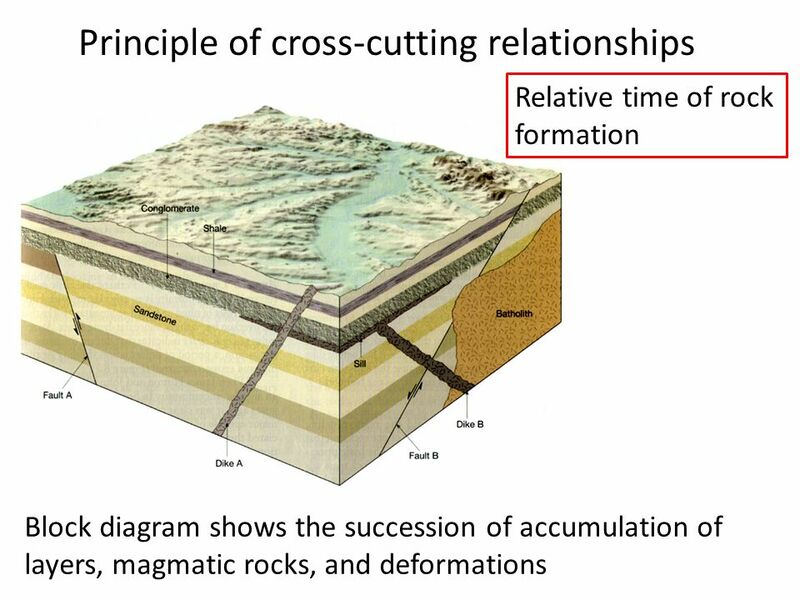 You should be able to use principles of superposition and cross-cutting to determine relative ages as you did on the WS: Principles of Geology last winter. 7. Attention Honors students - The topic of one of your essay questions will the Northern Lights and the topic of the other one will be the Bakken formation. Here is a link to information about the Aviation Career Exploration Academy (June 28-29). Applications are due by June 10. We will go over the WS: "Earth Motions", and then continue watching the movie (The Martian). We will discuss the challenges of a manned mission to Mars, and then continue watching the movie (The Martian). We will finish the movie and then Benson will explain NASA's plans for future manned missions. Watch the video of the week (below). Students will take notes as Benson explains "small solar system bodies". Students will begin watching "The Martian".